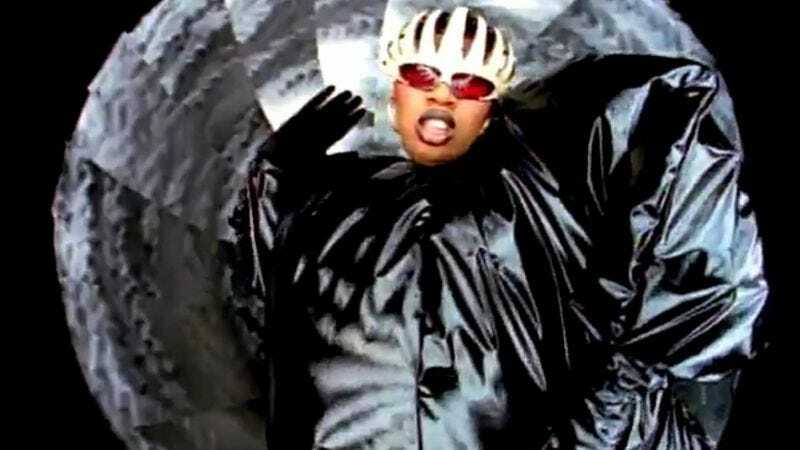 Having conquered the worlds of hip-hop, Lillith Fair, giant inflatable suits, and every college dance party in America between the years 2002 and 2007, Missy “Misdemeanor” Elliott saw all that she had made, and it was good. She then rested, a not-entirely-voluntary choice due to her struggle with a thyroid condition known as Graves’ Disease. But Elliott has continued to guest on other artists’ tracks, as well as release a few of her own, and says she’s feeling better and ready to get back to performing. And she’s chosen a very big stage to announce her return, apparently, as The Associated Press reports that Elliott will join previously announced halftime entertainment Katy Perry in a “surprise” performance at Super Bowl XLIX this Sunday. Elliott’s appearance has not yet been confirmed by the NFL—since it’s supposed to be a surprise and all—but Perry has said that the halftime show will feature an “old school” female performer, and that “When you hear the first ring of the chord, I think jaws will drop and faces will melt.” Perry has also said that the performance will be “flaming hot,” leading to speculation that she may wear her Halloween costume to the event.